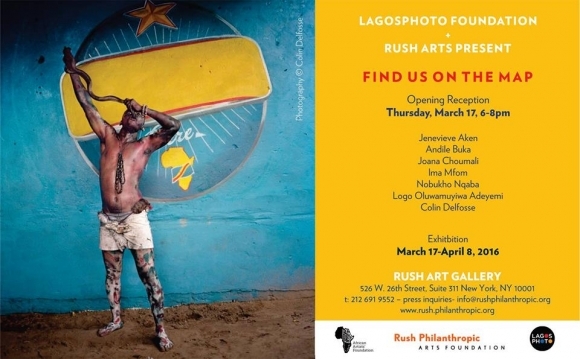 LagosPhoto Foundation and Rush Art Gallery present "Find Us On The Map"
Find Us on the Map! is an exploration of recurring themes in contemporary visual culture in Africa. Through people, places, and plural identities, the artists capture and create narratives that are factual, fictional, and occasionally hypersurreal, and leave the audience room to investigate them. The works of the featured artists encourage, and even demand, the audience to Find Us on the Map!, in accordance with the title of the exhibition. Whilst there is now a widespread awareness that Africa is not a country, are we better informed about this vast geographical entity? We may be able to name a few countries within Africa but can we find them on a map?